Nicole here with you today. You may all still be in food induced comas on the sofa watching telly and eating chocolates? If so - enjoy!! 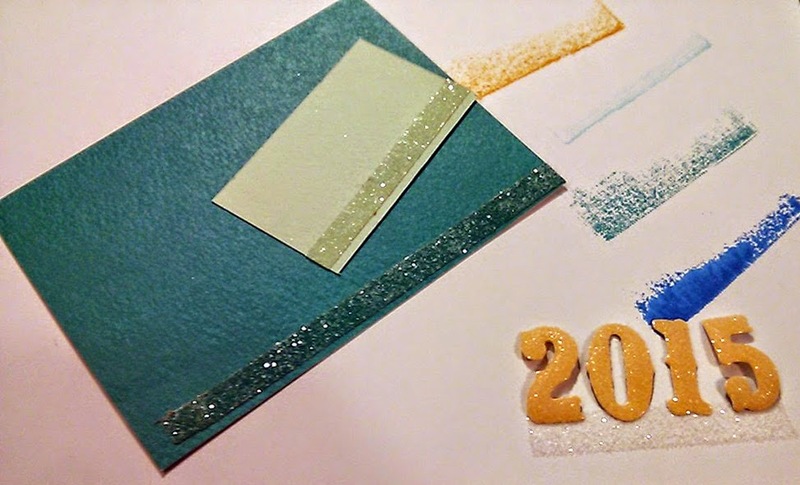 I am sharing a fun new years card today using some Sarah Hurley products. 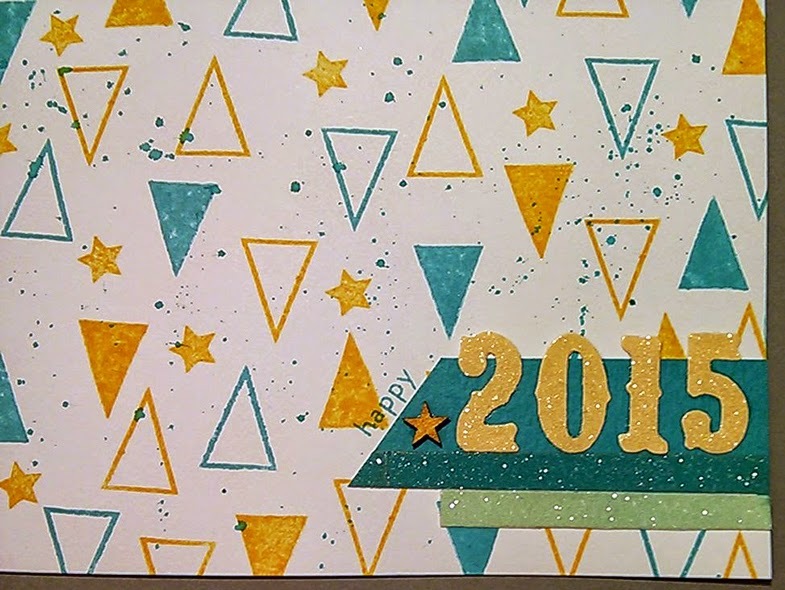 I used the Tickets and Labels stamp set to create a background on a card base using the solid and open triangles in the set. I used two colours, peacock feathers and mustard seed. 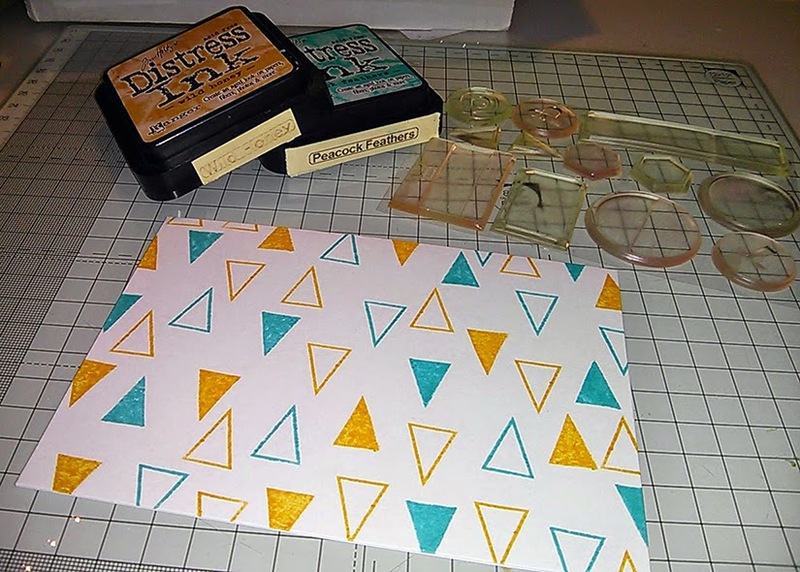 I stamped in a random pattern and in random directions. I took some scraps of Sarah's papers and added a strip of red line tape to them and added distress glitter to this. 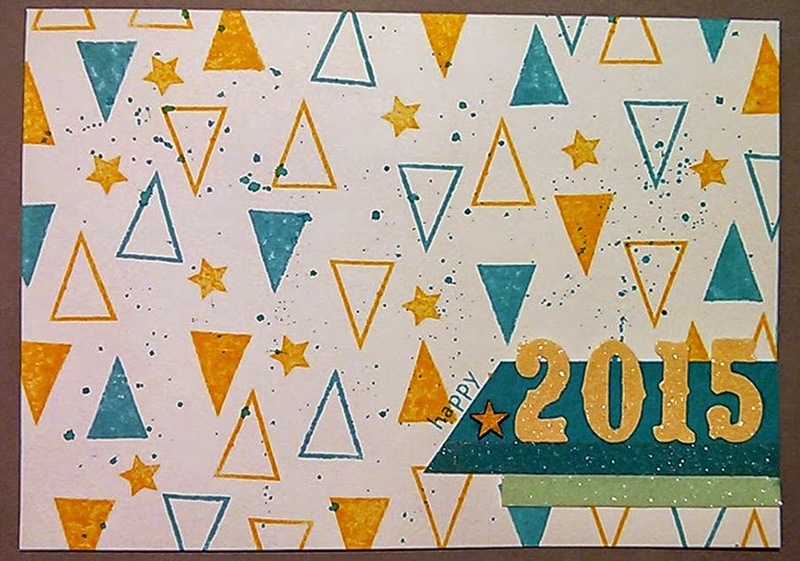 I also die cut out the numbers for 2015 and added glossy accents on these and more distress glitter. 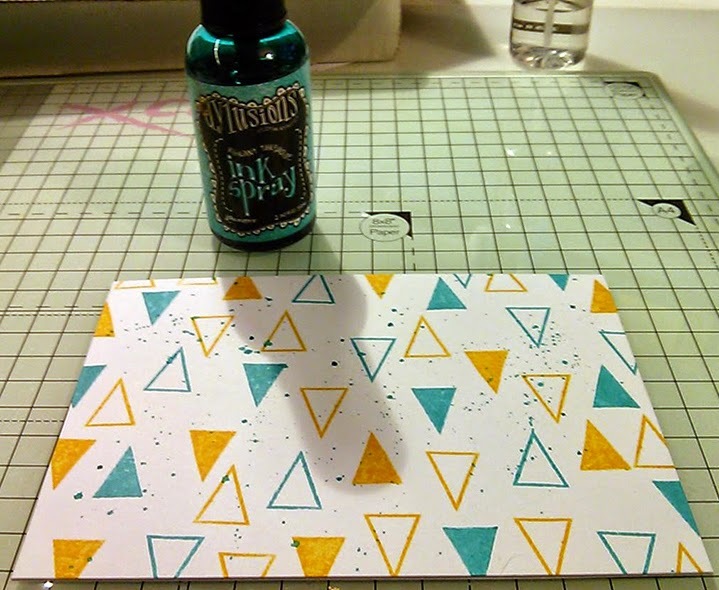 While all that was drying I splattered some ink onto my stamped background. When everything was dry I stamped some stars onto the background and put it all together. It is a fun and simple card to make and can be switched up into any colour scheme you like!